If you’re like a lot of homeowners, your house payment takes up more real estate than any other item in your budget. But have you ever stopped to imagine all the things your budget could do if you paid your mortgage off early? Maybe you’re dreaming of a weeklong stay at the beach: wearing your favorite wide-brimmed hat, enjoying your favorite novel, and soaking up an amazing view of the ocean. Now shake the imaginary sand off your shoes, and let’s talk about how you can make it happen. One way to reach your money goals (and get to the beach faster!) is to pay off your mortgage early. We’ve come up with three tricks to help you reach that goal. In each of these scenarios, we’re basing the math on a $150,000 home with a 30-year term and a 4% interest rate. One easy way to shave years off your mortgage is to pay a little extra each month. Adding just one extra payment each year knocks four years and nearly $17,000 off your mortgage! Divide your payment by 12 and add that amount to your monthly payment. In this case, we’d add an extra $60 to our regular $716 monthly payment, bringing the total up to $776. Pay half of your payment every two weeks—also known as bi-weekly payments—instead of a single payment once a month. If you pay on a bi-weekly basis, you’ll end up paying one full payment extra each year (13 instead of 12). So for a $716 monthly payment, you’d just pay $358 every two weeks. 2. Get Andrew Jackson’s Help. If $60 a month puts too much crunch in your budget, put Andrew Jackson to work for you by adding $20 to your mortgage payment each month. Sounds easy, right? That’s because it is! Even better, you’ll pay your mortgage off a year and a half early, saving over $6,200 in the process. Think of all you could do with an extra $6,200 and no mortgage payment! Toting a brown bag to work every day doesn’t sound all that appealing. But what if we told you it could save you tens of thousands of dollars over many years? If that doesn’t get you excited (but why wouldn’t it?) consider this: If you trade lunch out for eating in and apply that money to your house payment, you can be mortgage free 11 and a half years ahead of schedule. Sandwiches and leftovers for life! Make sure additional payments are applied to the principal and not to the following month’s mortgage. Don’t shell out your hard-earned cash for a fancy-schmancy mortgage accelerator program. You can accomplish the same goal all by yourself! To know how much you can afford each month, make note of your monthly take-home pay and divide by four. Let’s say you bring home $4,000 each month. 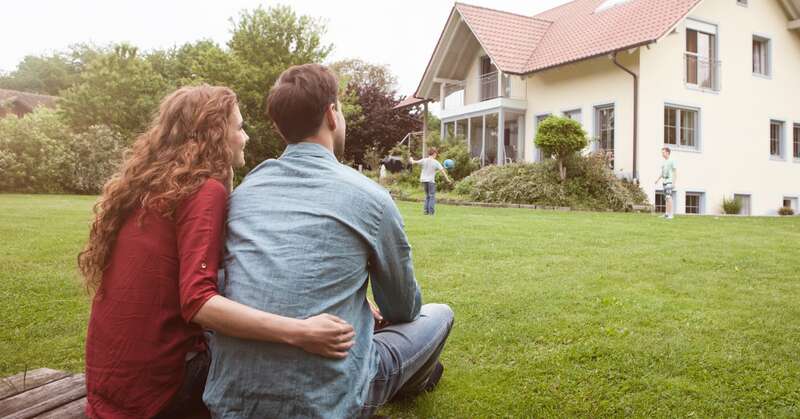 Your mortgage payment—including taxes, PMI and insurance—should equal $1,000 or less. By keeping your home costs in check, you open yourself up to a world of other possibilities. You’ll have room in your budget to take that big trip, save for retirement, invest in your hobbies, and send your kids to college. 2. Save for a down payment. When something seems too good to be true, you can pretty much bet it is. We recommend avoiding a no-money-down mortgage. A down payment gives you instant equity, keeps your monthly costs low, and reduces total accrued interest over the life of the loan. We suggest putting down at least 10% on your new home. If you can increase that amount to 20%, you’ll shave private mortgage insurance (PMI) off your monthly costs. Not to mention, with 20% down you’ll be that much closer to owning your home outright! 3. Select the right mortgage terms. Before you sign on the dotted line remember your goal: to pay off your home early so you can reach your money goals and go on that vacation! If you’re smart about your mortgage terms, you can save tens or even hundreds of thousands of dollars in interest. We recommend sticking with a 15-year, fixed-rate conventional loan. Under these terms, you’re safe from rising interest rates and can plan your payoff accordingly. Your monthly payment will be higher than with a 30-year mortgage, but you’ll be rid of it in half the time! So now it’s up to you—look for a home that keeps the above tips in mind. As you hunt for a home and try to find the right location and layout for your family, you may be tempted to sidestep the numbers and go all in on your purchase. But you’ve come this far. Don’t give up now! Let’s take what we’ve discussed so far into consideration to find your ideal price tag on a home. With a monthly take-home pay of $4,000, you can afford a $1,000 payment including taxes and insurance. You’re also committed to a 15-year mortgage and saving up a 20% down payment.We used Dave Ramsey’s mortgage calculator to determine your ideal home cost of $140,000. Give your realtor a heads-up about this limit and refuse to see houses outside of it. Now when you move in, you can get to work and pay off your mortgage even sooner! If you’re looking to buy a home that doesn’t wreck your budget, we can introduce you to the top real estate agents in your area. EveryDollar’s real estate Local Providers are pros who can help you get a great deal on the home that’s right for you. Find your real estate expert today!